But the attack carried out by Stephen Paddock that killed 58 people and wounded nearly 500 others has all the vestiges of a jihadi operation, according to an Oct. 6 report by Understanding The Threat. Without law enforcement and/or military training, where was Stephen Paddock trained and who trained him? “The media’s go-to assessment immediately following the event that Paddock ‘snapped’ from some sort of psychological ‘event’ was shattered when we learned about his months of preparation and pre-mission reconnaissance,” the report said. Without law enforcement and/or military training, where was Paddock trained and who trained him? Last spring the Islamic State released a video targeting Las Vegas using a red smear effect to show “blood” over the city. Prior to the attack the Islamic State published a message in one of their media outlets admonishing Muslims to avoid large gatherings of non-Muslims, specifically including large events where thousands of people gather. On Oct. 2, the Islamic State claimed responsibly for the attack. Later that day ISIS issued a second message confirming the Las Vegas attack was conducted by a “soldier of the caliphate” and “martyr.” Several hours later ISIS state issued a third message reconfirming the Las Vegas attack was their operation. There is no record of the Islamic state ever claiming responsibility for an operation that did not turn out to be a jihadi attack. The sheriff leading the investigation effort publicly stated it is his opinion Paddock was not operating alone. Paddock conducted pre-operational reconnaissance on the Las Vegas target (Mandalay Bay) and other similar targets in other cities as well. Beside numerous weapons, explosives were found in Paddock’s vehicle and in one of his residences. 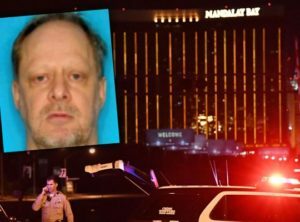 “In light of these facts the most viable assessment at this point continues to be that the Las Vegas attack was a jihadi operation,” the Understanding The Threat report said.